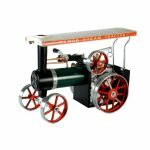 This magnificent miniature replica of a Showman’s road locomotive revisits a golden age in travel, dating back almost 100 years. These locomotives were mainly used to transport a fun fair or circus from town to town and, once the destination was arrived at, it would then serve as a power source for the entertainment. A far cry from motor vehicles today which whizz past you in an instant, the arrival of this beautiful piece of machinery would have been easily visible on the horizon with the emission of vast plumes from its slender chimney. 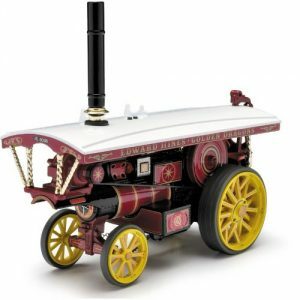 The fact that Showman’s road locomotives had numerous uses – from vehicle to power supply source and beyond – was just one reason behind their immense popularity. 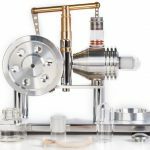 This beautiful miniature model is aimed at collectors who appreciate fine vintage craftsmanship. It will also interest those who collect models and artefacts relating to modes of transport dating back to the 1920s. All of these road locomotives were given names – much like car models of today – as well as an identifying serial number. This particular model is a direct miniature replica of the much-loved ‘Quo Vadis’, number 3938. Purchased in 1922, the Quo Vadis travelled the roads of England for well over a decade before being sold on to amusement contractors in 1935. By the time it was once again purchased, in 1965, it had been retired ten years earlier and was in a sad state of decay and disrepair. Quo Vadis was subsequently restored and is now a truly iconic symbol of the era to which it belongs. 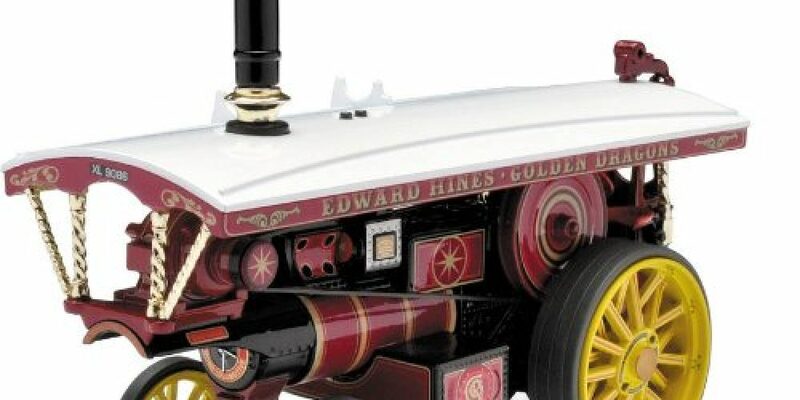 This collectable piece is a representation of the restored locomotive which, by extension, also makes it identical to how the vehicle original appeared upon completion of design in 1922. Showman’s road locomotives stood out for many reasons, not least their attention to aesthetic deal. Three key aspects became signature characteristics of these stunning vehicles – the canopy which runs the length of the locomotive, the tall and slender chimney and the highly decorative, skilled paint work. The Quo Vadis boasted all three aforementioned characteristics, and they are superbly brought back to life in this eloquently designed model. Only 1,500 of these miniatures have been commissioned, each of which comes with a certificate of authenticity. The structure is made from diecast metal as well as plastic components. It is suitable for children of all ages but will probably be best appreciated by an enthusiast of vintage road locomotives. Perfect for display at home, this model will appear particularly well in a cabinet that is accompanied by appropriate lighting to illustrate its delicate features. Online reviews have praised the model for its historic accuracy, customised packaging and impressive attention to the smallest of details.